To increasing numbers of people, sustainability is the key challenge of the twenty-first century. In the many fields where it is a goal, persistent problems obstruct the efforts of those trying to make a difference. The task of this book is to provide an overview of the current state of philosophy in the context of what philosophy is, could be or should be – in relation to sustainability and the human future on Earth. The book is conceived as a contribution to the UN Decade of Education for Sustainable Development, helping to link work on philosophy and sustainability. 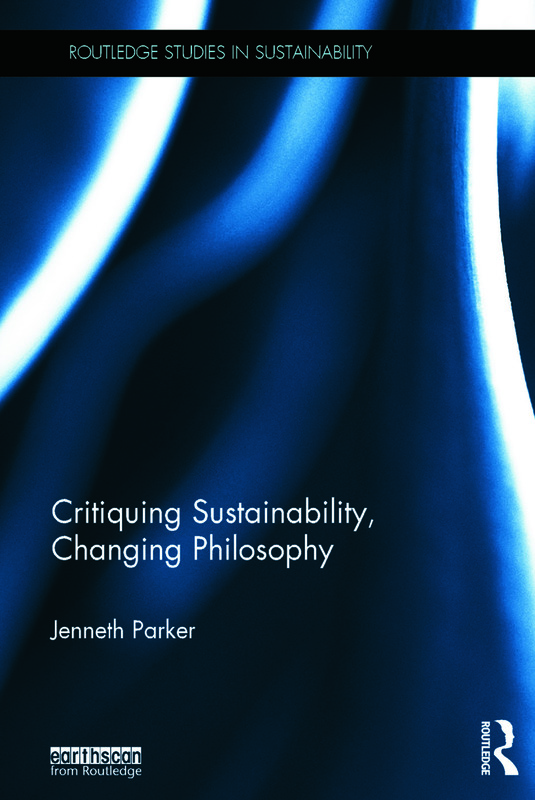 Critiquing Sustainability, Changing Philosophy focusses on the importance of philosophical work to the formation and effectiveness of global civil society and social movements for sustainability in the context of the Anthropocene age of the Earth. It takes a transdisciplinary systems approach that challenges philosophy and concludes by proposing a greatly enhanced role for philosophy in contributing to global public reason for sustainability. This book will be of interest to philosophers, sustainability practitioners and thinkers, policy makers and all those engaged in the global movement for sustainability. Introduction 1. Starting Points 2. The Antropocene 3. Critiquing Models of Human Being for Sustainability 4. Towards a Philosophy for Earth System Science 5. Changing Material Practices: techne and technology 6. A Philosophy of Social Science for Sustainability? 7. Culture and Sustainability: 'what has postmodernism ever done for us?' 8. Philosophies for Sustainability: an analytic review 9. Sustainability - a school for freedom?